You won’t find a river like this in other European capitals! 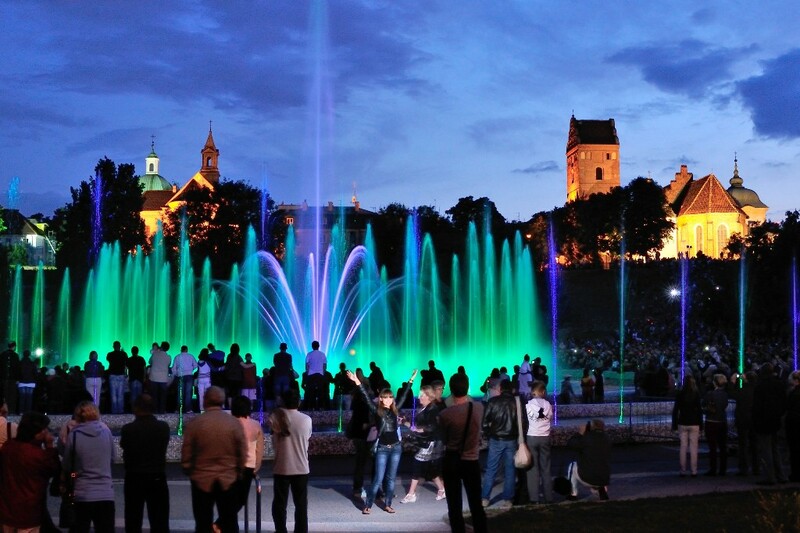 On the left bank you can enjoy entertainment, eat well and take part in cultural events. The right side of the river is a Natura 2000 area – a habitat for many breeding species of birds threatened with extinction. The clean and well-maintained beaches draw sports enthusiasts and those who love to laze about. 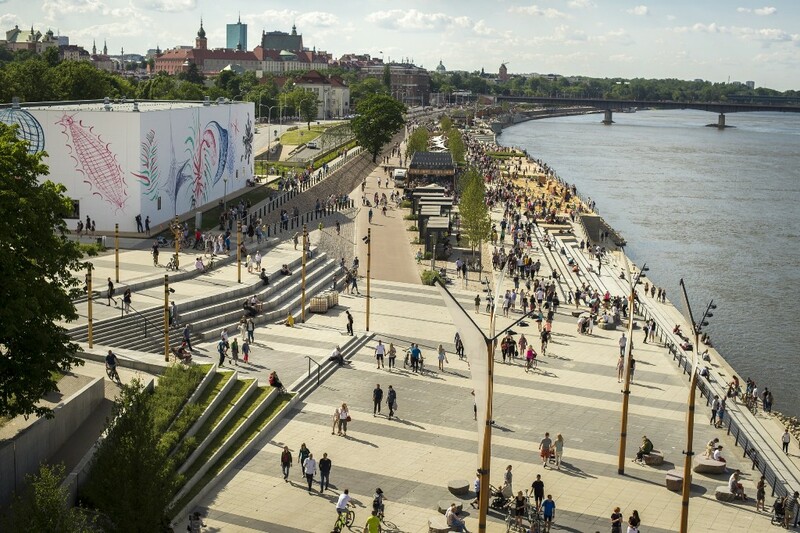 The Vistula Boulevards are a friendly space for everyone, including cyclists. Observation terraces, a mini-beach and food pavilions with dishes from around the world can all be found. 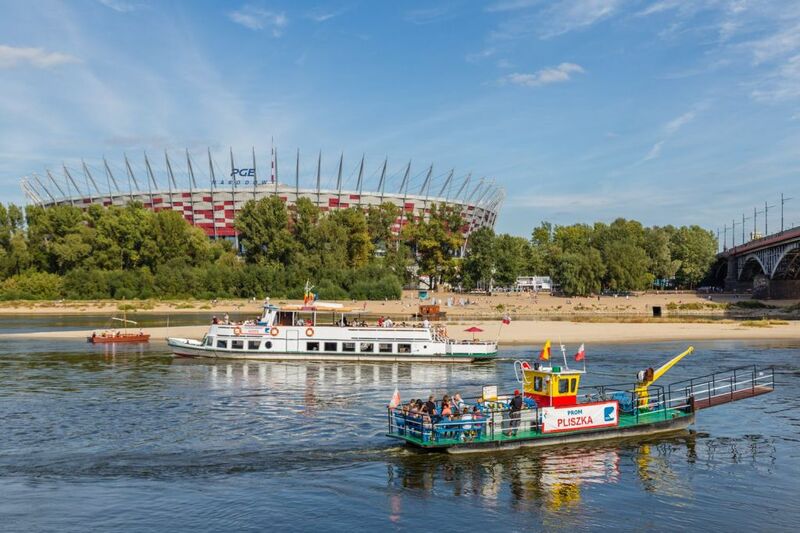 An additional attraction are river jetties from where you can take a cruise on the Vistula to admire Warsaw’s panorama from a different perspective. 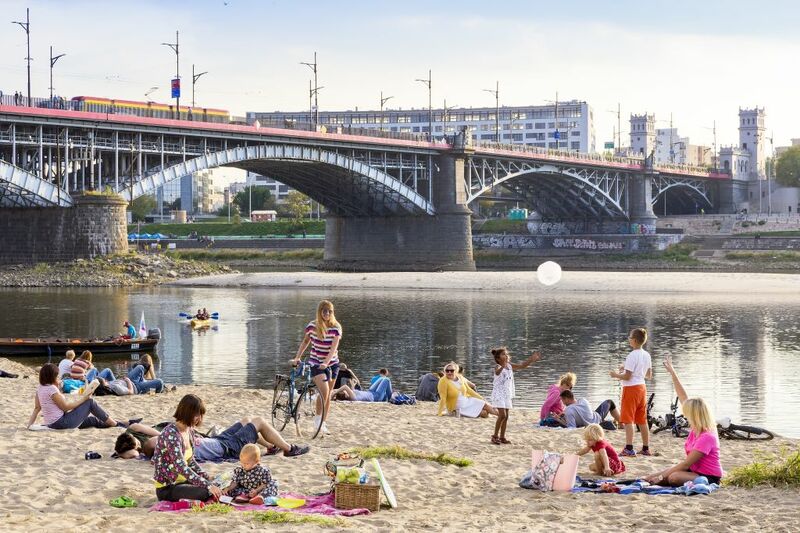 National Geographic and The Guardian have recognised Warsaw’s beaches as some of the most beautiful urban beaches in the world. They are clean and tidy and they are a hit with locals, visitors and sports enthusiasts. 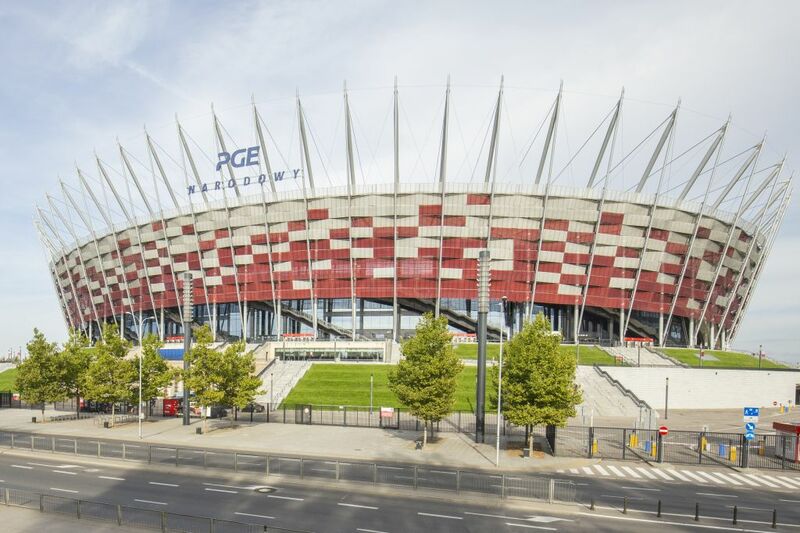 Go to the beach by the Poniatowski bridge for a game of beach volleyball, to the beach at the Płyta Desantu to take a cruise on a traditional wooden boat or to the beach in Saska Kępa to spend an evening with friends by a campfire. You will find two unique places in this area. 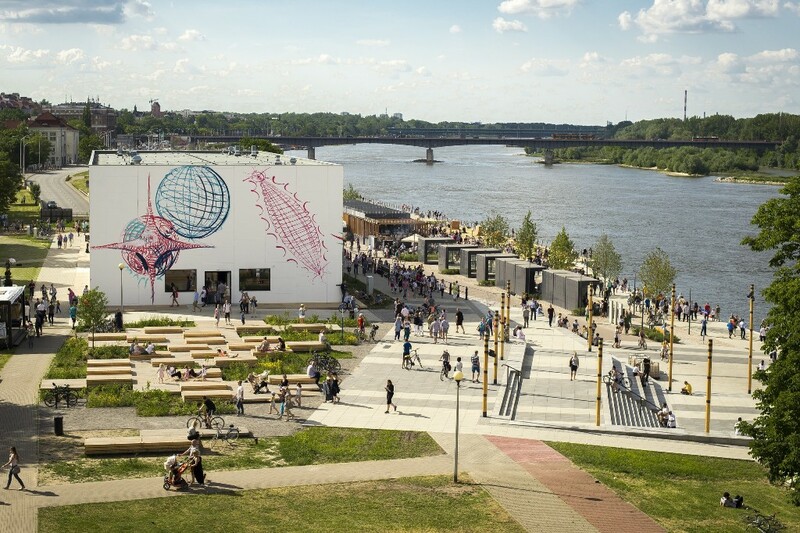 One is the Museum on the Vistula – the temporary home of the Museum of Modern Art, where you can see exhibitions by Polish and foreign artists. 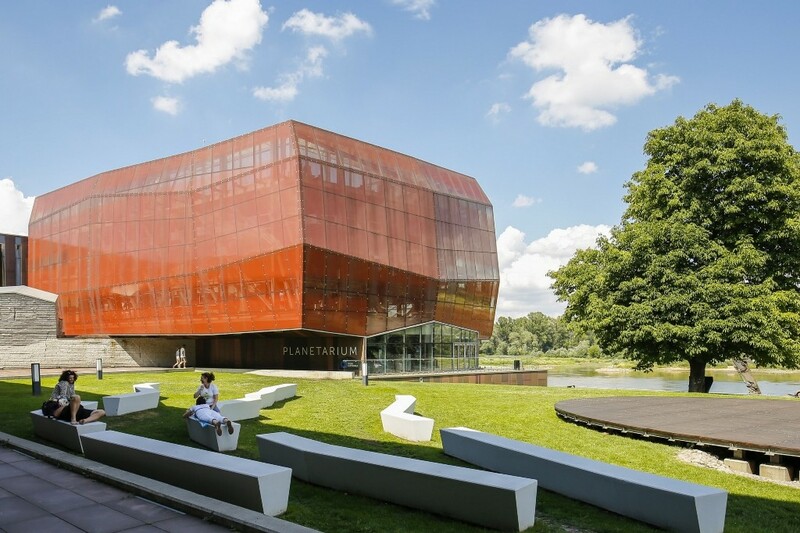 Nearby is the University of Warsaw Library, which has received numerous awards. Be sure to go to the roof garden, which is divided into several parts that differ in design, colour, smell and mood. Close by is the Mermaid statue, the symbol of Warsaw. Here you can relax on the beach all day and try various water sports. In the evening, the place turns into a vibrant concert and dance area. An ecological path that runs along the right bank of the Vistula awaits nature lovers. You can cycle along it on a Veturilo city bike. Along the way you will see lots of birds and animals, and you can take a break at one of the wild beaches overlooking the city skyline, the Old and New Town and Powiśle. Free ferries run between the Vistula’s banks, which makes crossing a breeze. Of course, only if water levels permit. Get a completely different perspective on Warsaw by taking a water tram ride, and if you have a whole day take a boat trip out of the city. To a large extent, the Vistula has preserved its wild nature, creating picturesque islands that are an essential habitat for endangered bird species. 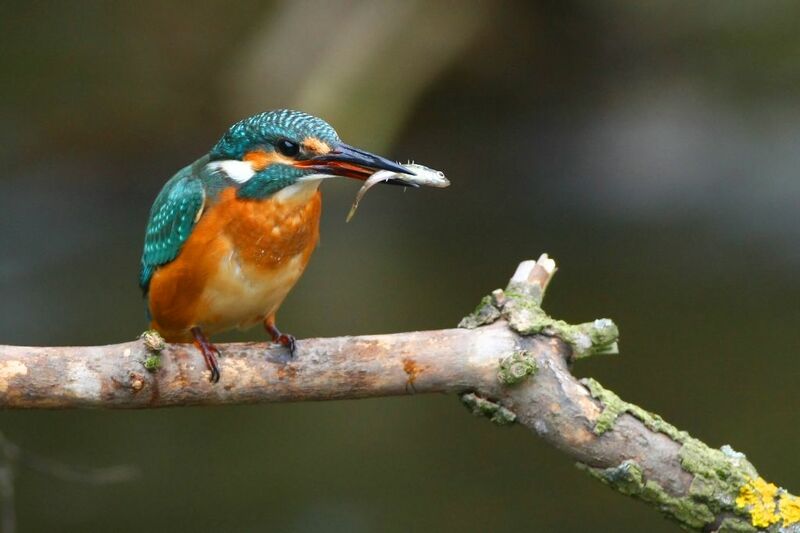 If you’re passionate about ornithology, with a bit of luck you’ll be able to see cormorants, kingfishers and herons in their natural surroundings.